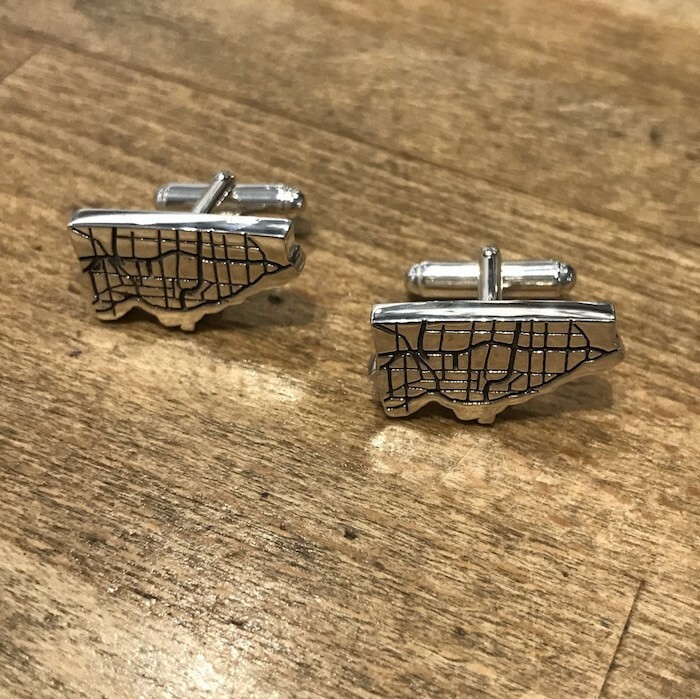 I made these cufflinks to celebrate the geography of my city. If you look closely, you can see some of Toronto's highways and byways represented to scale on the map. 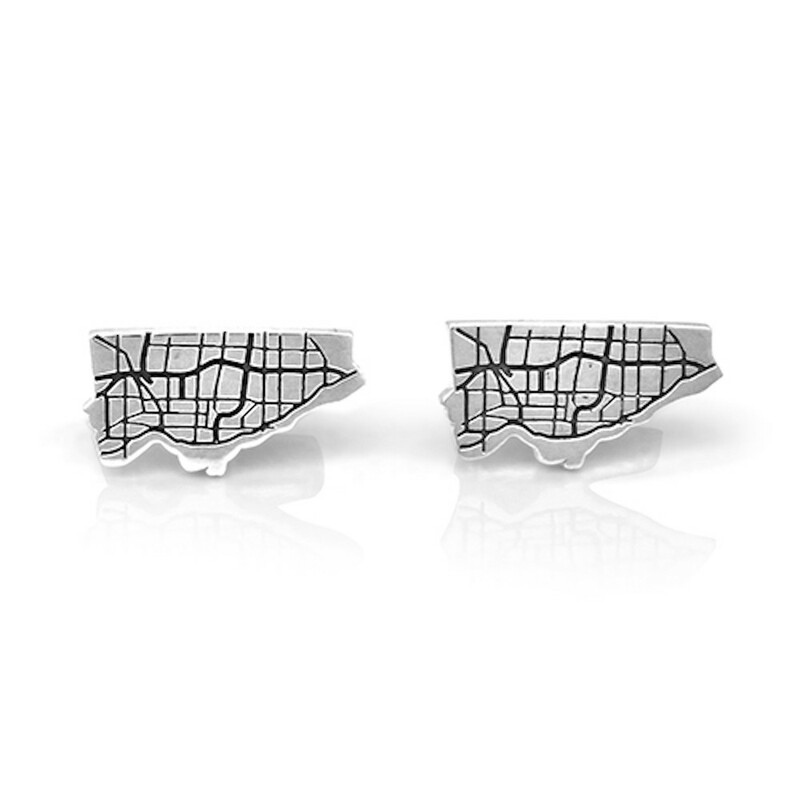 These cufflinks are for those who love the Six, and want to wear that affection on their sleeves. The price of these cufflinks goes up by $1 every year, keeping pace with Toronto's age, so they'll never be a better deal than they are this year!